Sea views apartment with stunning landscape gives you a perfect scene of Mediterranean sea through Alanya castle. This fantastic apartment is just 50 metres away from lovely beaches of Mahmutlar. 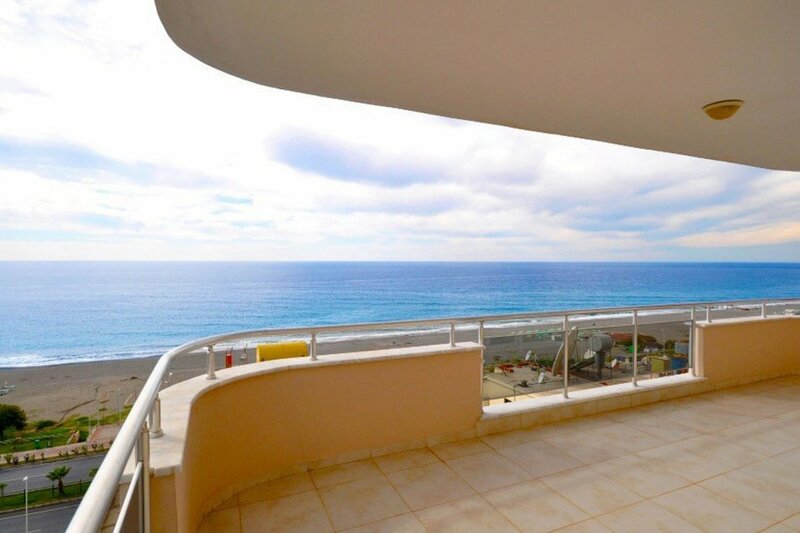 This fantastic apartment is just 50 metres away from lovely beaches of Mahmutlar / Alanya. It has a stunning view of Mediterrannean and Alanya Castle. From balcony it is possible to have a 180 degree wide and panoromic view of beatiful sea & beach. Apartment is fully furnished and all white goods are ready to use. Living room and 2 bedrooms are big enought to feel yourself comfortable & relaxed mood throghout your holiday. Main bedroom has a parent bathroom as an advantage and apartment has a second bathroom at the same time. Kitchen is open style designed with the living room and it is well equipped with kitchen appliances you may need. It is also possible to watch & enjoy endless sea & landscape even from living room while you are sitting & relaxing. Apartment has a big communal swimming pool, sauna and fitness room that you can utilize from. Just in front of the apartment, from motorway you can drive on easily through Alanya city life , which you can find many attractive points to discover. So many local shops, local bazaars, variety of restaurants&bars, waterparks, museums , lovely beach & sea and of course night life is waiting for you.